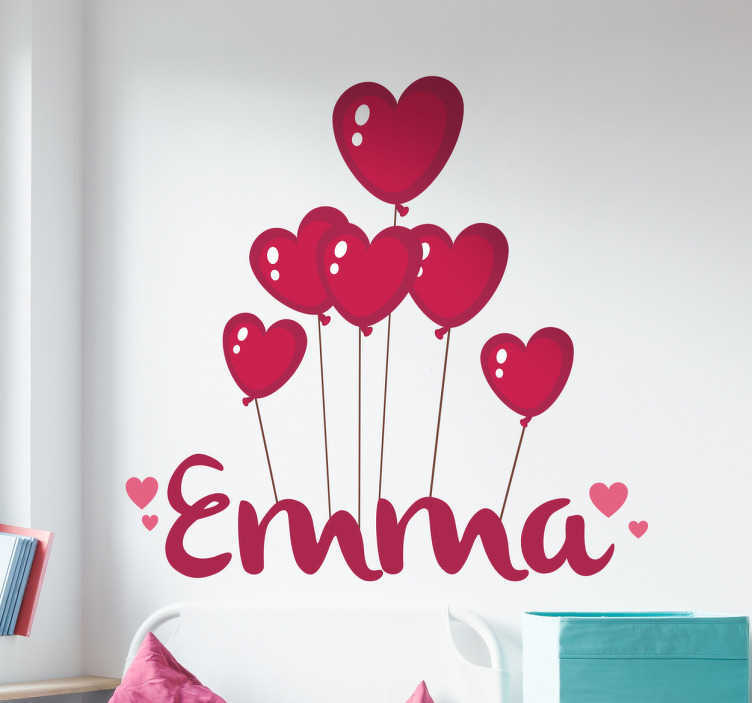 Personalised kids wall sticker showing the name of your choice floating below a bunch of red heart shaped balloons. Decorate your child's bedroom or nursery in a way that feels personal to them with this beautiful hearts wall sticker. Available in various sizes and leaves no residue if removed.